Hell Gill Force in Mallerstang accommodates water taken from the High Seat range of hills in the north west of the Yorkshire Dales. The waterfall is actually in Cumbria. 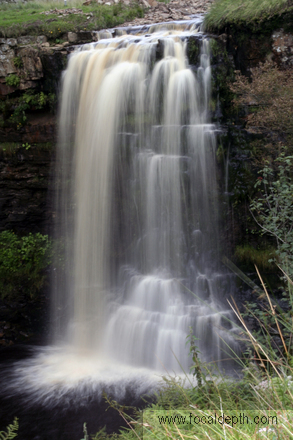 The waterfall is often visited by walkers exploring the hills around Wild Boar Fell and can easily be reached by path. As it is also close to the road motorists can easily visit by walking just 250 metres. The waterfall is a single drop fall of approximately 8 metres (25 feet).